Keith Sweat may be available for your next special event! Keith Sweat's sudden emergence on the music scene in the late 80's literally changed the R&B world forever. But his real gift has always been the ability to follow it up time after time, never holding back, always delivering great, powerful music. Like the best of those artists who seem to know just when to re-acquaint themselves with us, we discover through Keith Sweat's music that we're on more than just familiar terms with this charismatic singer/songwriter/producer. His music, always relevant, always easy to embrace, seems to somehow mirror our own emotional journey. Comfortable isn't the only adjective one would use to describe Sweat's methodology. He has always seemed to both soothe and provoke our musical instincts over the years. The unassuming Keith Sweat first swooped down on the club world with his 1987 multi-platinum smash "Make It Last Forever," which single-handedly altered the club and R&B scenes in one amazing blow. He dropped his very own homemade bomb of sorts on the music world by mixing traditional R&B stylings with hip-h op's fierce edge. Credited with a lot of the "new jack" flavor which peppered most of the late 80's early 90's soul, revered critic Nelson George dubbed him "the Luther Vandross of the hip hop generation." He says, "When I'm working with good friends like Gerald LeVert for example, we respect each other's ability so much that he'll pretty much trust my judgment. And when I appear on one of his songs, I step back and let him guide me. It's kind of an agreement we have. So far it's worked." Quite the understatement. Keith Sweat has garnered a reputation for not only working with the best in the business, but for also discovering and nurturing some of the best young talent in the R&B world. Both Silk and Kut Klose were discovered by Sweat. He credits his New York background for instilling in him an attitude that welcomes any and all challenges. The New York native was himself born in Harlem, just around the corner from the famous Apollo theater. He still has a great love for all things New York, having graduated from New York's City College and gone through a pre-music career stint as a brokerage assistant at the New York Stock Exchange. But after landing his first record deal, Sweat's life would play out far beyond the steel canyons of Wall Street. The underground swell of his classic debut, "I Want Her" launched him as the club and R&B world's freshest voice in 1987. The song went all the way to the Top 5, crowning Sweat as the sole rejuvenator of the club/R&B/pop crossover record, creating an initial impact the genre hasn't seen since. He points to the New York club scene of that era as a very special time in music. "I think timing was important. There was a good mix of audiences. People were just starting to really get into rap. Yet they were still going to clubs in droves," he says. "I think when rap got real big, people went less and less to clubs to dance. Things are cyclical though. I'm credited with a lot of things that some artists were doing a decade before me. I've always been able to blend sounds. For example, you had the O'Jays doing what I was doing before my time, in a way. I just had a different tone in my voice." But Keith Sweat cemented his place in R&B history by following up with three other stellar albums over the years  "I'll Give All My Love To You," "Keep It Comin'" and 1994's "Get Up On It," along with his debut LP have collectively sold nearly 8 million copies. The albums spawned a myriad of pop and R&B hits, with the first three LP's topping the Billboard R&B chart. The modest Sweat plays down the tremendous strain this kind of success can put on an artist, and continues to deftly juggle a club/restaurant and production office/home studio and label (Kiea), all the time while trying to maintain his own career. booking entertainment, such as major name entertainers or celebrities, booking Keith Sweat, booking information on Keith Sweat, or hiring Keith Sweat for your special event, or to book or hire Keith Sweat, or if you are seeking the Keith Sweat booking agent for corporate entertainment or for a private party. Consider the opportunity to book Keith Sweat or other entertainers for a wedding, birthday, anniversary, business meeting or convention. If you are not a talent buyer, we are unable to provide Keith Sweat manager or management contact information. Consider this your official Keith Sweat booking agency web site – The booking agent who works for you! This company acts as an entertainment consultant or broker/producer and does not claim or represent itself as the exclusive agent, representative or management of Keith Sweat. 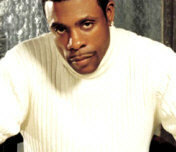 Keith Sweat, r&b music artist - booking agent. This artist may be available for your event. Book him if you can. You will have the time of your life!